Incorporating artificial grass into your landscape’s design scheme is a great way to boost curb appeal and improve the overall functionality of your property. There are a number of ways artificial grass can be used in landscape design and one of the most timeless and popular designs involves the integration of artificial grass and pavers. And weaving artificial grass between pavers is not only a beautiful and customizable solution to outdoor living, it’s also incredibly low maintenance. Artificial grass and pavers are a low maintenance dynamic duo. All too often the gaps between walkways and pathways are neglected and become a home for weeds. But artificial grass triumphs over weeds—effectively evicting them for good. And better yet, pavers become low maintenance when there’s no soil to dirty them up and necessitating regular hosing and scrubbing. Artificial grass and pavers is a look that’s completely customizable. 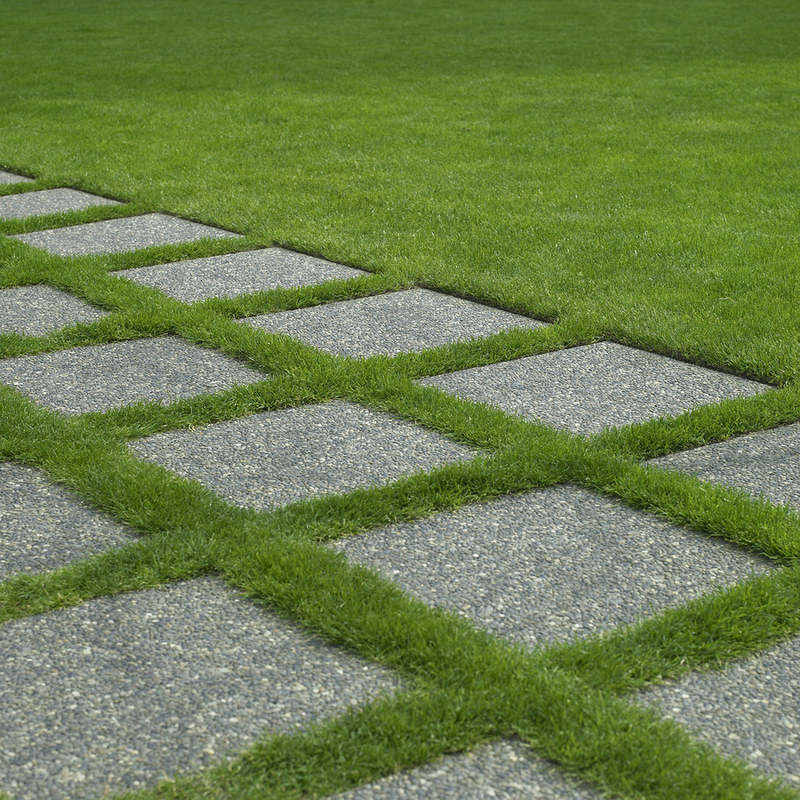 There are different colors, cuts, and sizes (of pavers and artificial grass) to choose from and plenty of outdoor areas that would make a nice home for artificial grass and pavers. Installing artificial grass between pavers softens hard lines and adds a lush, eye-catching design element. The hard stone and soft grass creates a powerful dichotomy of texture with a sophisticated feel. This combination can add layers of color and dimension to any backyard space. Pavers with artificial grass pair well with a patio, fire pit, pool, deck, driveways, and other backyard spaces. At Turfix, not only are we experts in the science and math involved in installing artificial turf, but also the art. Turfix has perfected the art of designing and installing revolutionary artificial turf landscaping solutions in a variety of spaces and places. We love a good challenge and the opportunity to collaborate with you on creative level. We are equipped to design state of the art spaces and places of any size that will bring new life to areas both high and low. Contact Turfix today and let’s start a conversation about your landscape design project!